A whole house water filtration system can help to provide your home with cleaner, healthier water, whether your water comes from a municipal treatment facility or private well. This distinction is important, because the U.S. Environmental Protection Agency (EPA) requires that public water supplies meet government-mandated safety standards, and takes extensive steps to ensure that the water is properly tested and treated to meet those requirements. Well water, or water from any other type of private source, however, is outside of the jurisdiction of the EPA, and it falls on the homeowner to ensure that it is safe to drink. This can be particularly troublesome for homeowners who are not aware that their water is sourced from a well, or those who are but don’t fully understand the potential risks. In order to ensure that your home’s water is safe to use, regardless of its source, the best possible solution is to first consult with a professional for a home water test. In order to help simplify the test, you should take note of any nearby commercial, industrial, or agricultural activities that take place near your home, as all of these can contribute to the potential impurities that make it into your water. If the test does in fact uncover impurities in your water, then the easiest way to eliminate the contamination is to purchase a water filtration system for your home. You’ll want to ensure that you purchase a product that is specifically designed to remove the impurities present in your water, as well as one that is reliable enough to provide you with those results for years to come. 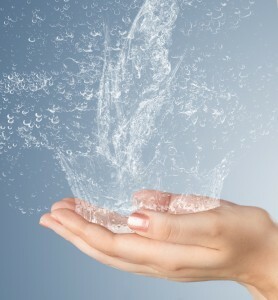 At RainSoft, we’ve provided homeowners with outstanding water treatment products since 1953. Our certified industry professionals will not only perform a complimentary test of your water, but will also use the results of that test to recommend a product that’s ideal for you. What’s more, you can rest easy knowing that our products are the best of their kind – every water filtration system we offer has been verified to work as intended by the Water Quality Association, and we back all of our solutions with an excellent Limited Lifetime Warranty. If you’d like more information about having a premium whole house water filtration system from RainSoft installed in your home, contact us today.